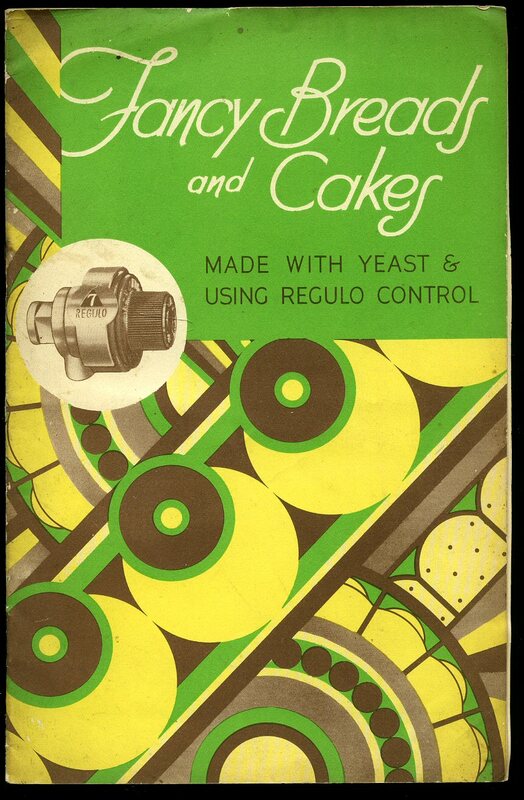 Published by Brown & Polson Ltd., Paisley and London circa 1950 edition not stated. London circa 1950. 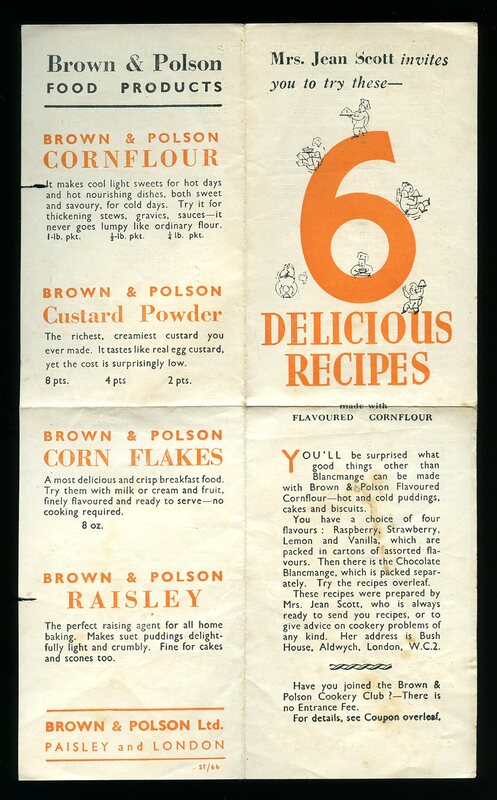 Original folded leaflet. 12mo 5'' x 3'' when folded. Small monochrome illustrations to both sided. In Very Good clean condition, without any tears, no dust wrapper as published. Member of the P.B.F.A. Published by Arco Publications 9 Grape Street, London First Edition 1963. London 1963. 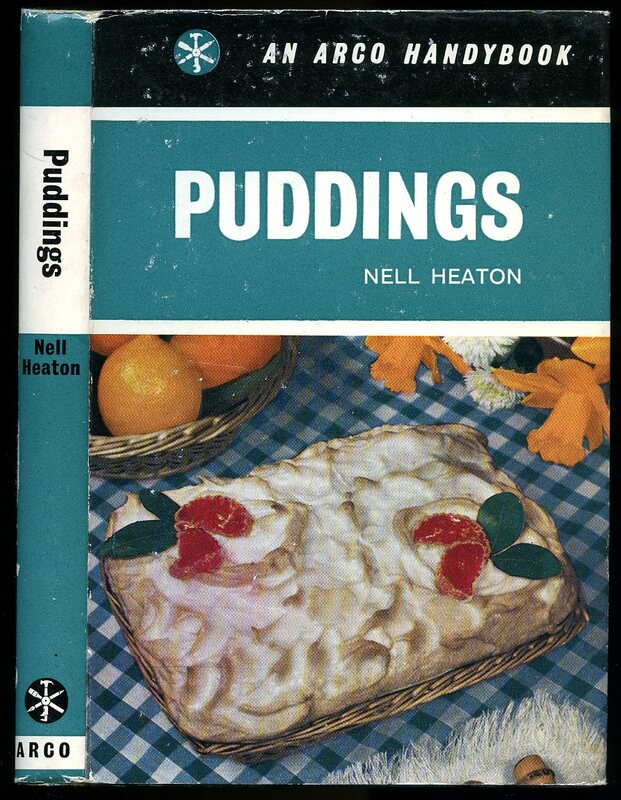 First edition hard back binding in publisher's original colour illustrated boards. 8vo. 7½'' x 5¼''. Contains 152 printed pages of text. Without any ownership markings. Fine condition book, in very near Fine condition dust wrapper, not price clipped. Dust wrapper without any tears or chips and supplied in archive acetate film protection, this protects and prolongs the life of the paper, it is not adhered to the book or to the dust wrapper. Member of the P.B.F.A. 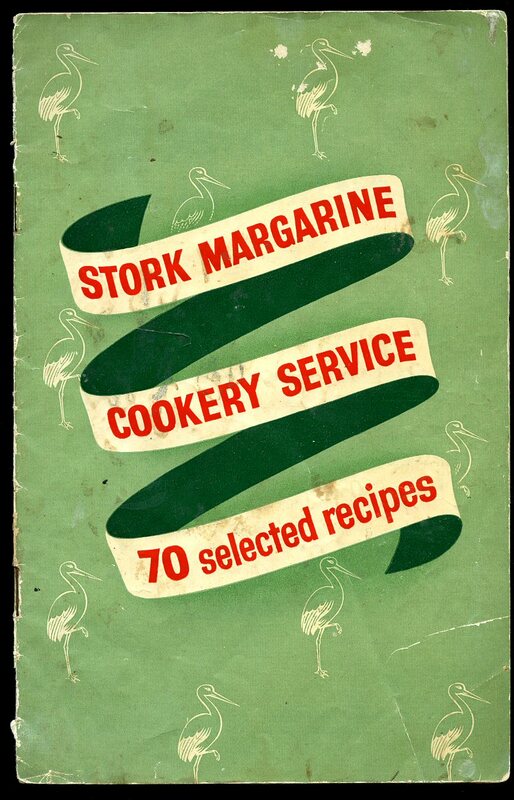 Published in House by The Stork Margarine Cookery Service, London 1957. London 1957. Publisher's original stapled colour period art work card wrap covers. 8vo 8½'' x 5¼'' 17 printed pages of text. Monochrome illustrations throughout. Small tear to the foot of the spine, without any ownership markings and in Very Good clean condition, no dust wrapper as published. Member of the P.B.F.A. 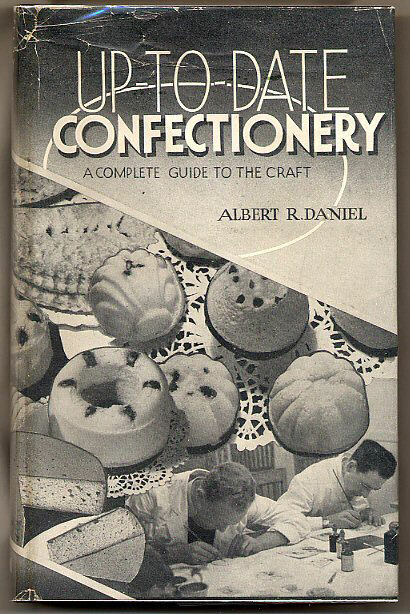 Published in House by J. Lyons & Co. Ltd., Cadby Hall, London circa 1935. London circa 1935. Original six section concertina folding illustrated paper leaflet. 12mo 4½'' x 3'' when folded. Simple monochrome illustrations throughout. In Very Good clean condition, without any tears, no dust wrapper as published. Member of the P.B.F.A. 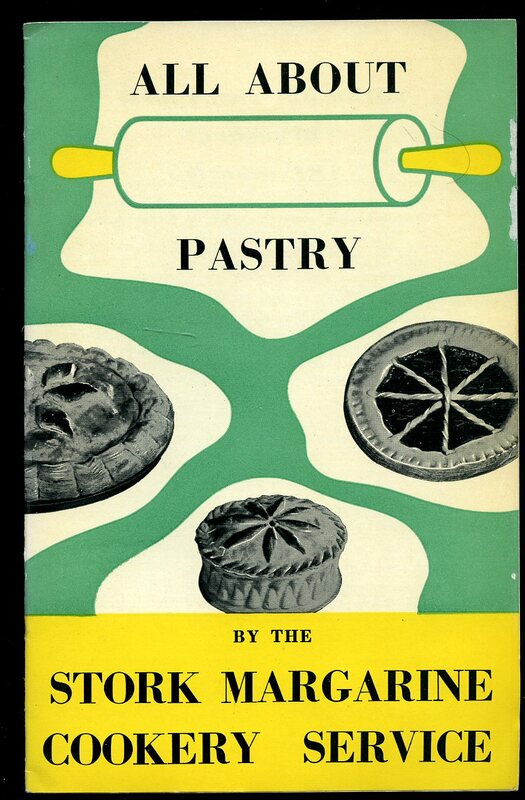 Published in House by The Stork Margarine Cookery Service, London 1955. London 1955. Publisher's original stapled colour period art work card wrap covers. 8vo 8½'' x 5½'' 18 printed pages of text. Monochrome illustrations throughout. Without any ownership markings and in Fine clean condition, no dust wrapper as published. Member of the P.B.F.A. 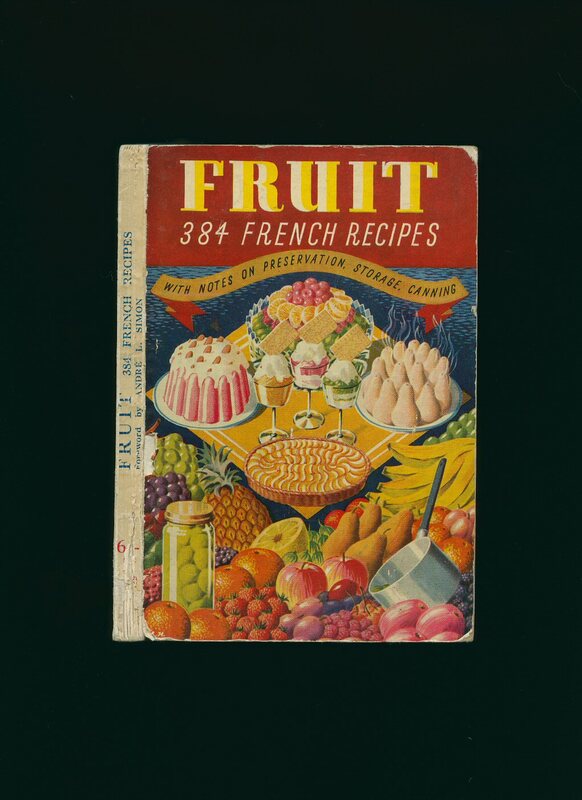 Published in House by The Stork Margarine Cookery Service, London circa 1948. 1948. Publisher's original stapled colour period art work wrap covers. 8vo 8½'' x 5½'' 16 printed pages of text. Rear cover is missing, couple of marks to the pages, no dust wrapper as published. Member of the P.B.F.A. Published in House by Radiation, 164-172 Queen Victoria Street, London 1938. London 1938. Publisher's original stapled colour period art work card wrap covers. 8vo 7½'' x 5¼'' pp. Monochrome illustrations throughout. In Very Good clean condition, no dust wrapper as published. Member of the P.B.F.A. 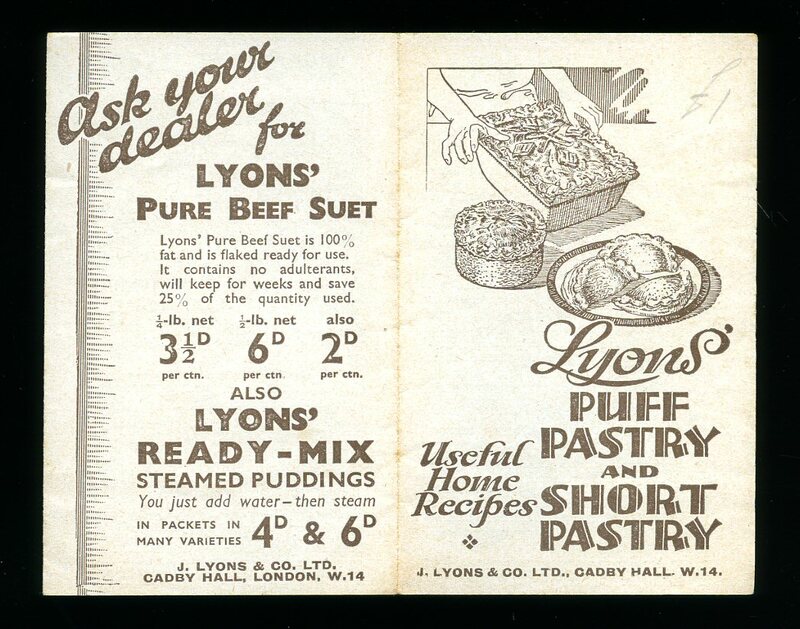 Published in House by Soya Foods Ltd., Elstree, Hertfordshire. Second Series circa 1925. Hertfordshire. circa 1925. Publisher's original folding pink paper sheet. 8vo 7'' x 5''. In Very Good clean condition, without any tears, no dust wrapper as published. 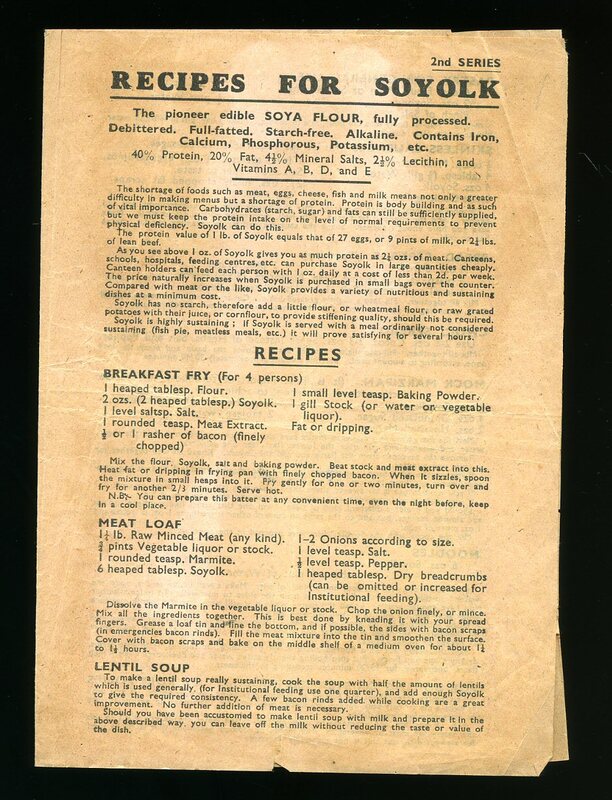 Very scarce early Soya recipe booklet. Member of the P.B.F.A. circa 1930 edition not stated. 1930. Publisher's original stapled paper covers. 8vo 7¼" x 5" 32 pp. Monochrome sketches, advertisements to end papers. In Very Good condition, hanging cord to corner. Member of the P.B.F.A. 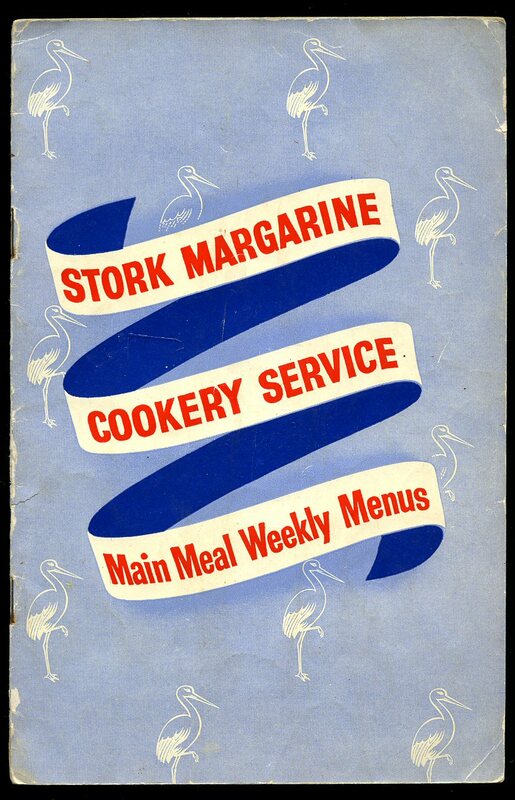 Published in House by The Stork Margarine Cookery Service, London March 1948. London 1948. Publisher's original stapled colour period art work wrap covers. 8vo 8½'' x 5½'' 16 printed pages of text. Monochrome illustrations. In Very Good condition, no dust wrapper as published. Member of the P.B.F.A. 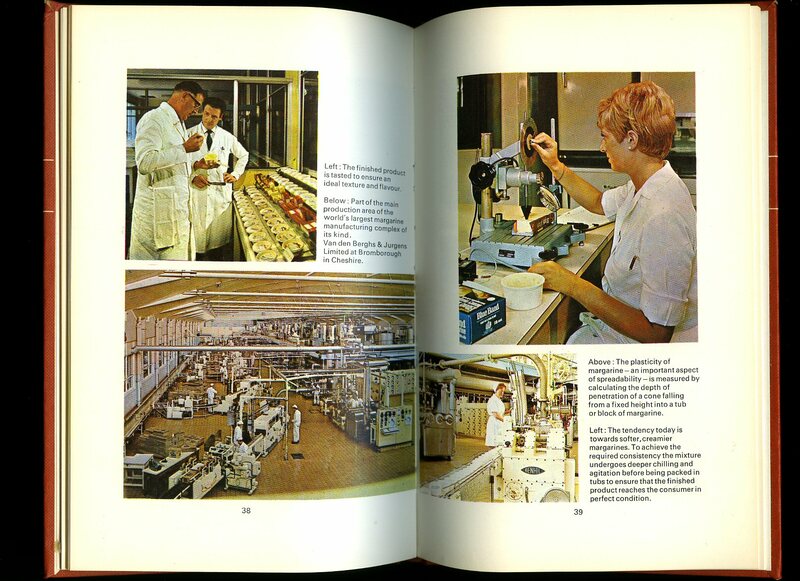 Van den Berghs Ltd Completely Revised second edition 1969 [First edition 1958]. 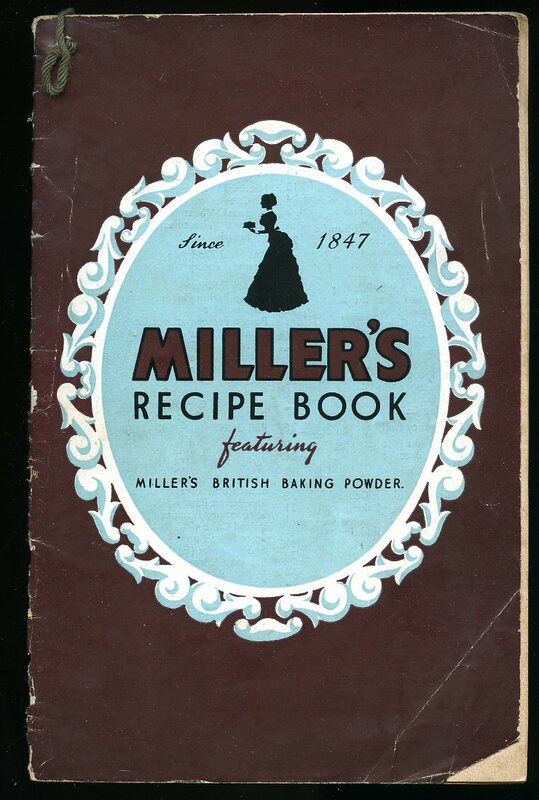 Hard back binding in publisher's original terracotta cloth covers, white lettering to upper panel. 8vo 7½" x 5¼" 56 pp. Monochrome photographic illustrations on glossy silk art paper. In near Fine condition, no dust wrapper, compliments slip laid-in. Member of the P.B.F.A. 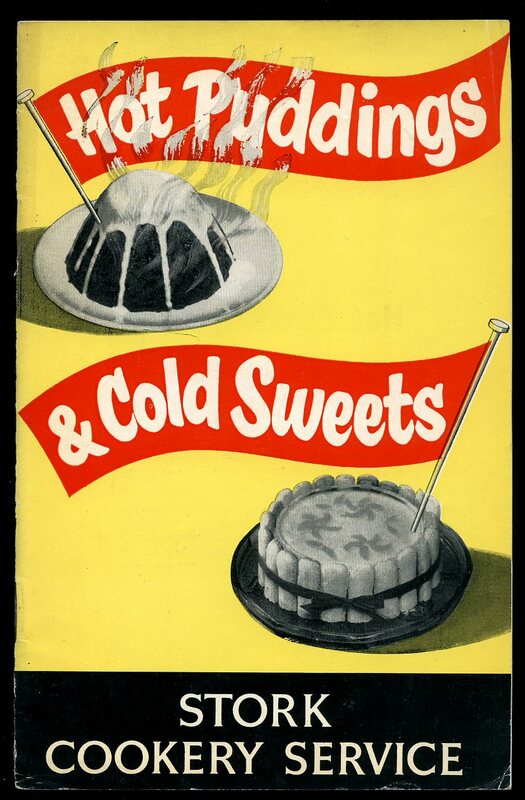 Published by Maclaren & Sons Ltd., Stafford House, Norfolk Street, London Second Revised Edition 1947. London 1947. Hard back binding in publisher's original black and brown crazy paved effect cloth covers, gilt title and author lettering to the spine and the upper panel. Quarto. 10'' x 7''. Contains [x] 470 printed pages of text with monochrome photographs throughout. Fine condition book, in scarce Very Good condition panoramic dust wrapper with small tears to the corners of the top of the spine. Dust wrapper supplied in archive acetate film protection, this protects and prolongs the life of the paper, it is not adhered to the book or to the dust wrapper. Member of the P.B.F.A. 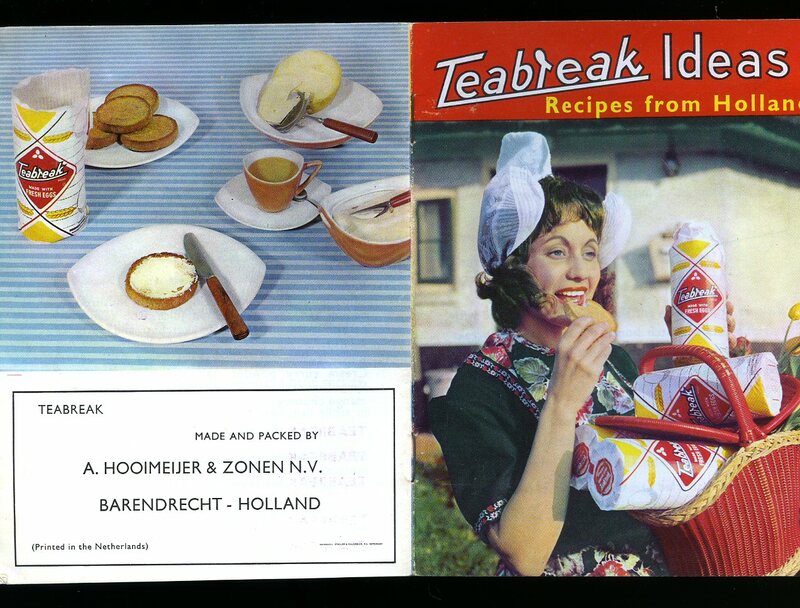 Published in House by A. Hooimeijer & Zonen N.V. Barendrect, Holland circa 1948. 1948. Publisher's original stapled colour period art work paper wrap covers. 8vo 7½'' x 5¼'' pp. Monochrome illustrations throughout. In Very Good clean condition, without any tears, no dust wrapper as published. Member of the P.B.F.A. Published by Crosby Lockwood & Son Ltd., 39 Thurloe Street, London First Edition 1949. London 1949. First edition hard back binding in publisher's original colour illustrated thick card board covers. 8vo. 7'' x 5''. Contains 143 printed pages of text with small monochrome illustrations throughout. Paper to the spine very thin with 20 mm missing to the foot, rubs to the corners and in near Very Good condition, no dust wrapper. Member of the P.B.F.A. 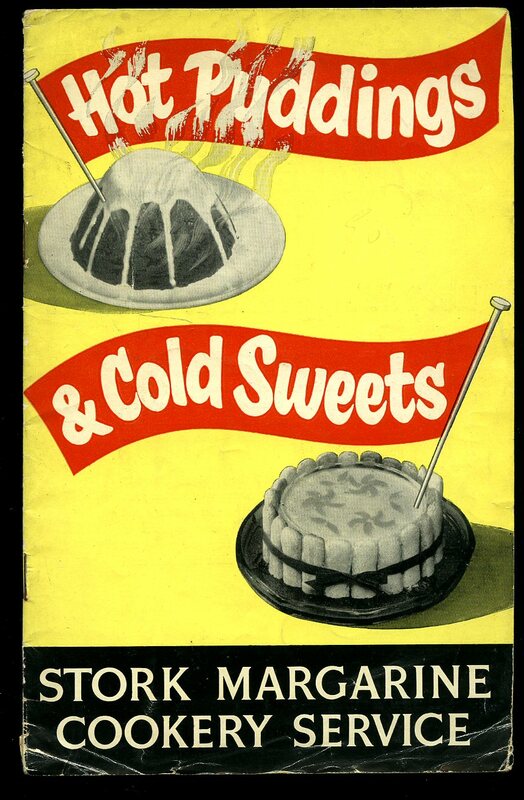 Published in House by The Stork Margarine Cookery Service, London 1953. London 1953.